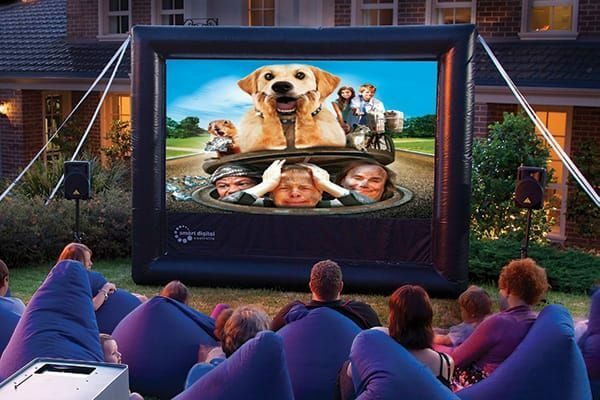 Huge inflatable outdoor projector screen, this screen is great on any field, amphitheater or lot, and is perfect for smaller drive-In style events. Entertain up to 1500 guests. 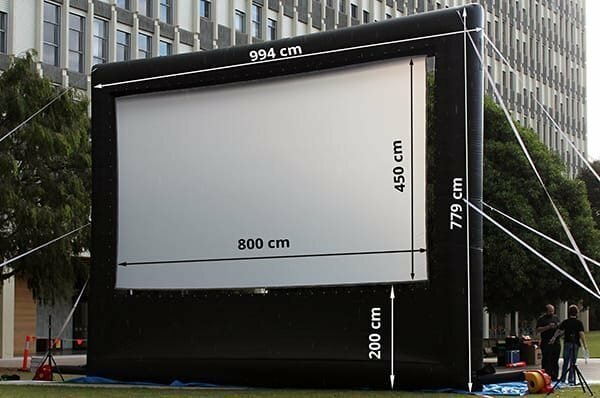 Huge inflatable outdoor projector screen, this whopping structure will easily entertain crowds up to 1500 on any field, amphitheater or lot, and is perfect for smaller drive-In style events. Blow up outdoor movie screens are extremely large projection screens that are safe for any crowd. They do not have any metal or moving parts; moreover, they withstand up to 35 kph winds. 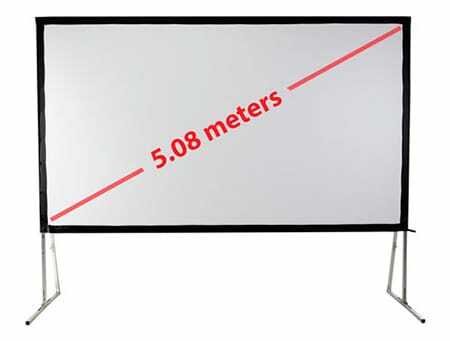 An 8 m inflatable outdoor projector screen comes with a front or rear projection surface and looks fabulous. Complete outdoor cinema package featuring an 8 m inflatable screen is also available. 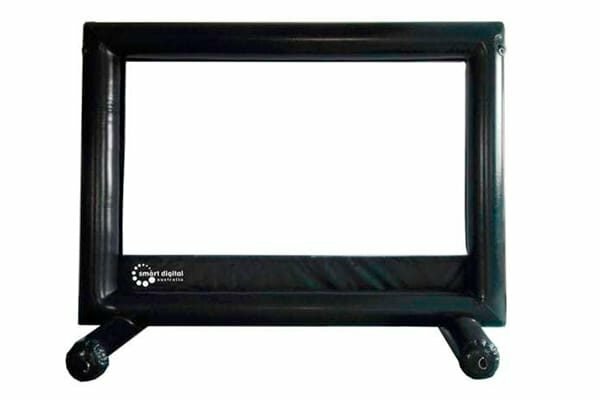 Screen: Durable black PVC constant air frame, wide screen format 16:9 aspect ratio, removable surface with black backing for optimal colour rendition, rear projection surface available as an add-on, 35Kph wind rating.